Ladybug — Semi-realistic vector illustration of a bright red ladybug sitting on top of a green plant leaf. I don't care what anyone says, ladybugs are pretty cool. .:. My-Free-Vector-Art.com .:. 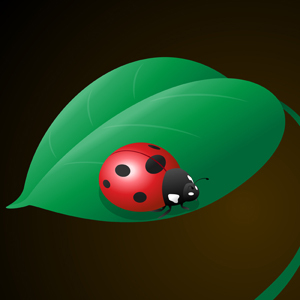 Semi-realistic vector illustration of a bright red ladybug sitting on top of a green plant leaf. I don't care what anyone says, ladybugs are pretty cool.